My friend Adam has issued a challenge to me. 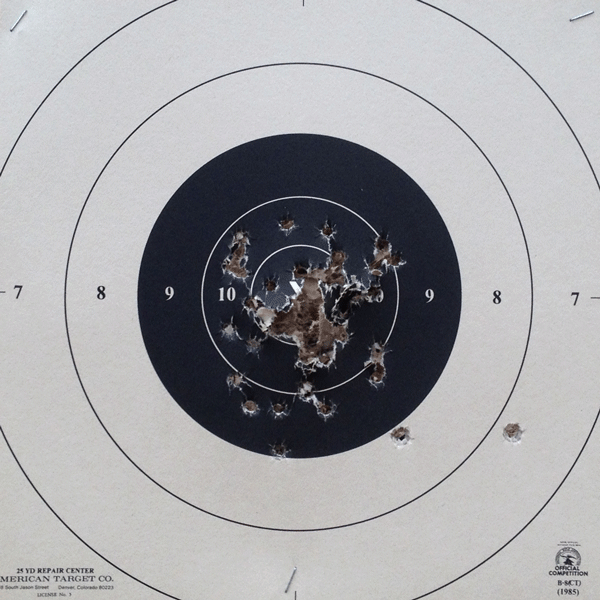 With my Ruger LCP, can I have all but 5 of 50 shots score a 10, firing at 7 yards? Here was my second try, and I again had about 7 shots outside the 10-ring. I’m looking forward to the 3rd try.